JustEnoughIDs is a lightweight mod that removed the block, item, biome, potion, and enchantment ID limits by using the 1.13 chunk format in 1.12. More specifically, it uses a blockstate palette when saving chunks to NBT, and uses an int biome array rather than a byte biome array. There should be very few incompatibilities with other mods, but in case you find one, please report it to the issue tracker. Unlike NotEnoughIDs, removing a mod is supported, and won't cause corruption of the worlds created with that mod. Extremely important: Removing JustEnoughIDs will break your world. It is equivalent to loading a 1.13 world in 1.12! JustEnoughIDs cannot load NotEnoughIDs worlds, see the FAQ for more details. JustEnoughIDs is incompatible with The Lost Cities for the moment until hopefully the next release. However, due to the way the biome array works in 1.12, some mods may need custom support. For example, a biome may show up as "Mod doesn't support extended biome IDs -- Report to JEID" in the F3 screen, or a command may not work properly. Modded worldgen is supported, so there will never be biome ID shifts in your worlds. Please report any problems on the issue tracker such that it they can be fixed as soon as possible. If I install JEID, will my old worlds still work? Yes, they will. Chunks will be updated to 1.13 format as they are loaded. Can I convert my NEID worlds to JEID? No, not yet. However, using both NEID and JEID is possible. In that case, JEID's block and item limit fixes will be disabled, letting NEID handle those, and only the biome limit fix will be enabled, allowing you to maintain compatibility with previous worlds and still use as many biomes as you want. Won't this mod corrupt my world? No, this is NotEnoughIDs done properly. Just because NotEnoughIDs failed at implementing a safe system of extending ID limits doesn't mean that it's not possible. Mojang did it in 1.13 and this mod only backports features from the 1.13 chunk format to 1.12. Please don't claim that this is a "bad mod" only because NotEnoughIDs was. Is it possible to copy chunks from this world to a newly generated world so to still have stuff we build over hours because of a mod that proclaimes loudly that it does things properly but creates such a mess? This is a massive issue and no where on this page is seen any information about it to warn others. An old issue is locked down. Edit2: Clutch. Use WorldEdit but you have to keep all the other files, just only delete the dim folders and the big overload region folder after you saved schematics off all of your stuff. Worked for me. All biomes are like they should be. Have a look at JustEnoughIDs Integration (JEIDsI). It may address the issue for you. How ho you use the Just Enough IDs mod, like hot keys and stuff? If I understand correctly, this mod is just straight up better than NotEnoughIDs, right? We think that this mod converts stored 1.13 format chunks on the fly to 1.12 format for loaded chunks, and converts them back on the fly to 1.13 format on the fly too, causing some moderate drag on processor usage while doing it. Ummm, no. JEID will convert any 1.12 chunks to use our modified chunk format that is based on 1.13 and will read those as normal, if not a little faster than vanilla. This should cause as much drag on your processor as vanilla would, if not a little less than vanilla. If you're playing Minecraft wondering if you need this mod, then you don't need this mod. Well first off, we've gotten no reports about Betweenlands or Tropicraft having issues with us and no one on our Discord server has said anything. Second, Lost Cities now has compat with JEID, but there are no other compatibilities that we've heard with other McJty mods. Third, Nature's Compass will get support once we start progress on the next release, and we've yet to look into Heat and Climate since I couldn't find anywhere causing an incompatibility. We try to add support as we get reports and we have the time. Since I've mainly been working on this and VanillaFix in my free time during college, updates have slowed down. But once Rune and I get in good spots, we'll be banging out new updates for 1.12.2 and 1.13.2 as fast as we can. No compat for Elemental Dimensions by McJty. Dimensions render as blank with jeid. I'm glad to hear Lost Cities now has compat :). I got the Betweenlands to work when I removed some overworld biomes from my pack so there does seem to be some conflict with JEID there. Tropicraft crashes as soon as I try to enter the dimension with JEID installed. And yes Heat and Climate isn't compatible either. I guess it uses numeric id. Is there going to be a fix for Creeping Nether? This works with Not Enough Ids? Is it a joke, right? JustEnoughIDs is an alternative to NotEnoughIDs. They do not work together. JustEnoughIDs is allegedly better than NotEnoughIDs, but if you’re already using NotEnoughIDs, you cannot switch to JustEnoughIDs without creating a new world, or you’ll face world corruption, glitches, or crashes. While, yes you are right, you're also kinda wrong. 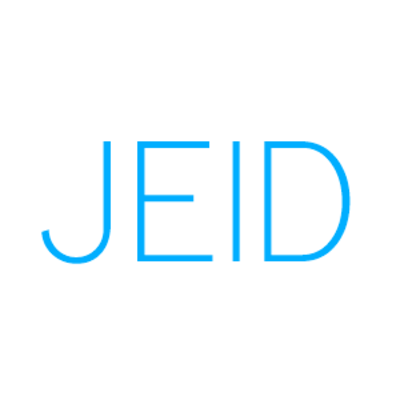 Yes, JEID is an alternative to NEID, but they do work together if your world was made with NEID first. And yes, JEID is better than NEID, due to the fact that we do safer operations than NEID does. And you can switch to JEID from NEID, you just need to keep NEID installed so it handles its stuff properly and prevents corruption, glitches, and crashes. True. You cannot swap NEID with JEID, but you can keep them both installed. I’m not sure why you’d want that, though. Does that really allow JEID to function if your world were created with NEID?